The first drone strike of the new Trump Administration is reported to have occurred in Yemen. Local security and tribal officials told the Associated Press that the two strikes on Saturday, the day after President Trump’s inauguration, killed three al-Qaeda officials. The strikes reportedly killed Abu Anis al-Abi, an area field commander for al-Qaeda, and two others who were not identified by AP. Drone strikes in Yemen are nothing new. 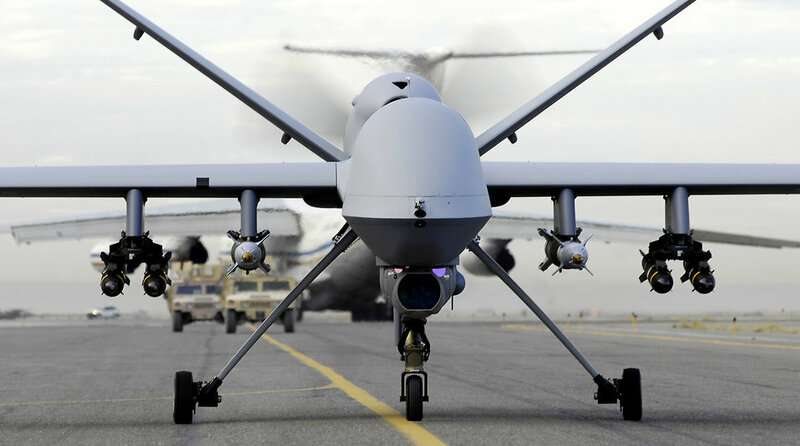 Standoff missile attacks by the unmanned aircraft were the Obama Administration’s weapon of choice in the War on Terror. According to Newsweek, between January 2009 and December 2016, President Obama ordered 526 drone strikes in various countries. It was a 2011 drone attack in Yemen ordered by Obama that killed Anwar al-Awlaki, a member of al-Qaeda who was a US citizen. This attack in particular was criticized from both the right and left. Leftists have been critical of the drone war in general while many conservatives condemned the killing of an American citizen without a trial even though Awlaki was beyond the reach of the US criminal justice system. Yemen’s role in the War on Terror goes back beyond the September 11 attacks. In October 2000, the USS Cole was attacked by al-Qaeda suicide bombers while on a refueling stop in Aden, killing 17 US sailors. The attack was one of several that foreshadowed the worst terror attack in US history. Today, Yemen is engaged in a civil war that involves both al-Qaeda and Iran-backed Shia rebels from the Houthi tribe. A Sunni coalition led by Saudi Arabia is supporting forces loyal to President Abdrabbuh Mansour Hadi, who is also backed by the US. During the campaign, Trump supported drone strikes, saying, “The U.S. needs to use all means necessary to combat terrorism,” but argued that the US should not get involved in the Yemeni civil war.